The Victoria Falls Hydro-Electric Power Station is historically important due to its association with the construction of Victoria?s earliest gold related hydro-electric scheme. The gold mine was located at Cassilis, 27kms away. As Executive Director for the purpose of the Heritage Act, I give notice under section 46 that the Victorian Heritage Register is amended by including the Heritage Register Number 1942 in the category described as a Heritage place. Victoria Falls Hydro-Electric Power Station, Victoria Falls Road, Cobungra, East Gippsland Shire Council. 1. 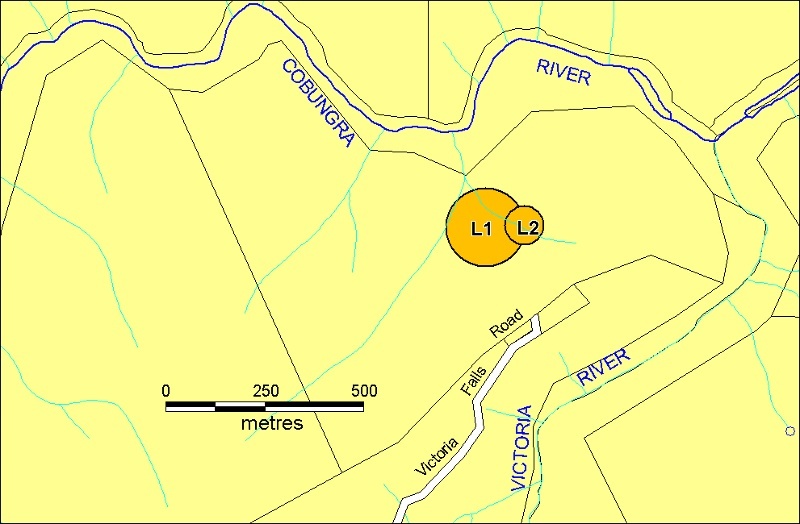 All of the Crown land including above ground features associated with the generation of electric power and all archaeological relics and deposits within 100 metre radius of power station foundations or Australian Map Grid co-ordinates E404 N967 on 1: 100,000 map sheet number 8323, Dargo shown marked L1 on Diagram 1942 held by the Executive Director and 50 metre radius of the settling Dam or Australian Map Grid co-ordinates E405 N965 on 1:100,000 map sheet number 8323, Dargo shown marked L2 on Diagram 1942 held by the Executive Director. In 1907, the Cassilis GMC constructed a hydro-electric power station on the Cobungra River, about 6.5 km from its junction with the Victoria River, just below the Victoria Falls. Water from Victoria River was delivered to the power station by a race built along the spur separating the Cobungra and Victoria Rivers. The race was unlined and measured 3 ft deep, 4 ft wide at the bottom, and 7 ft wide at the top. It filled a settling dam at the top of the spur, from which point water was delivered to the power plant by 1650 ft of piping, which reduced in size from 34 inches to 38 inches diameter. The powe station was equipped with a Voith pelton wheel, and began operating in 1908. A power line ran between the power station and the Cassilis mine, a distance of some 27 km.A holding dam of 250 million-gallon capacity was to have been constructed on the Victoria River, at the commencement of the water race, but this was not done. As a result, an insufficient supply of water caused frequent power shortages and stoppages at the Cassilis mine. The power station's poor performance was largely to blame for the ultimate closure of the Cassilis mine in 1916. Early in that year, a dam was built above the power plant, but the first substantial rains washed it away. The power plant was sold to a Tasmanian silver mine in 1917. It is the site of Victoria's earliest large-scale hydro-electric power scheme constructed for gold mining purposes. Power was generated through a Pelton wheel. 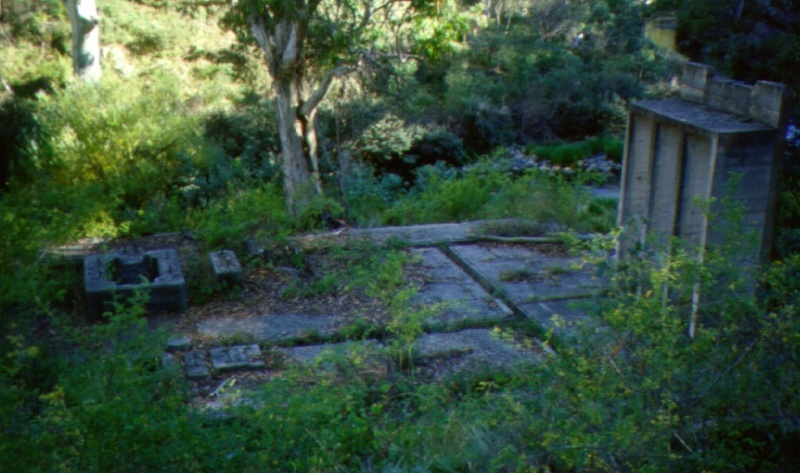 The scheme was completed in 1907, and by 1909 all steam engines at the mine in Power's Gully at Cassilis had been replaced with electric motors. The power station operated until the mine closed in 1916. The Victoria Falls Hydro-Electric Power Station is of technological importance for the survival of a range of foundations and earthworks that illustrate all aspects of the underlying technology. No other site of its age and type retains this evidence. 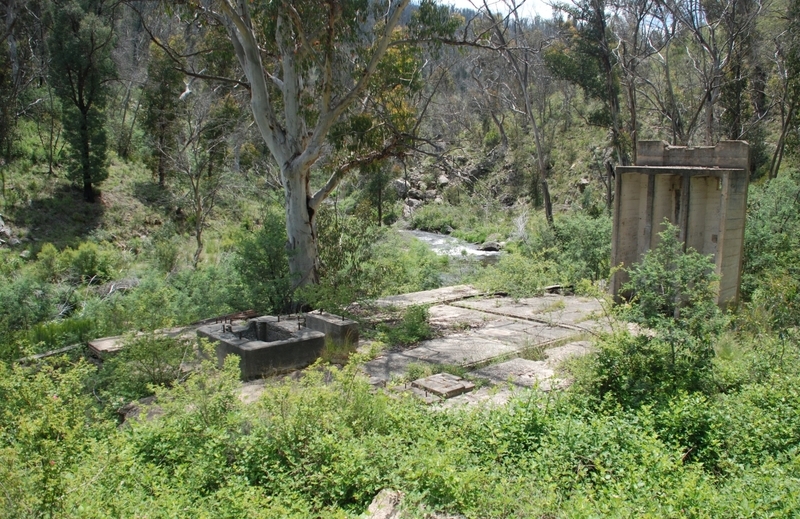 The site is archaeologically important for its potential to yield artefacts and evidence which may be able to contribute to an understanding of the use of hydro electric power in Victoria. * Works required to leave abandoned adits in a safe condition. * Undertaking of safety and access works to restrict vehicular access to the site and minimise removal of machinery and foot traffic near or on foundations. * Repairs to the tailings pond. * Installation of information signage for interpretation and public risk purposes. * On-site works confined to protect and stabilise buildings and structures. * Control of pest plants and animals. Through the registration of the Victoria Falls Hydro-Electric Power Station it is desired to retain the essential character of the place. The intent of the permit exemptions is to allow the normal day to day management of the site as a key component of the Victoria Falls Historic Reserve. The permit exemptions recognise the relative remoteness of the place.